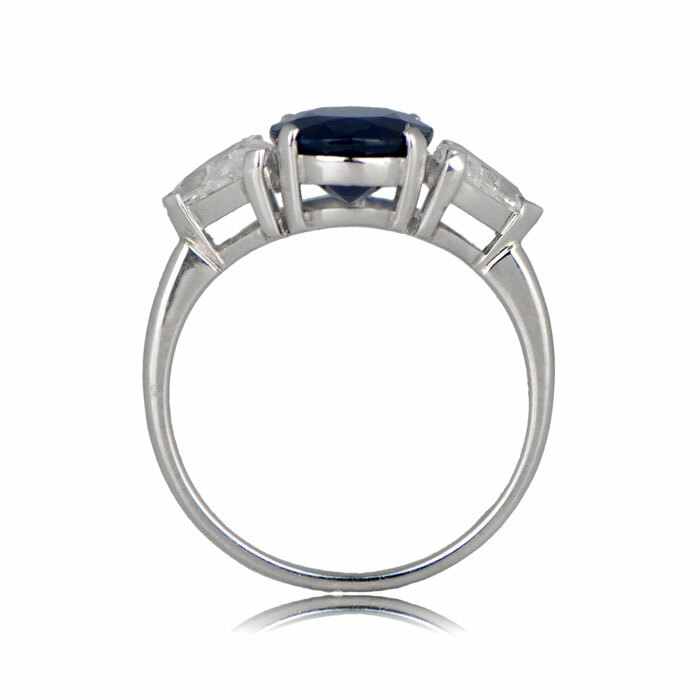 The Queensland Ring features a beautiful sapphire in the center which is accented by two triangular-cut diamonds on the shoulders. 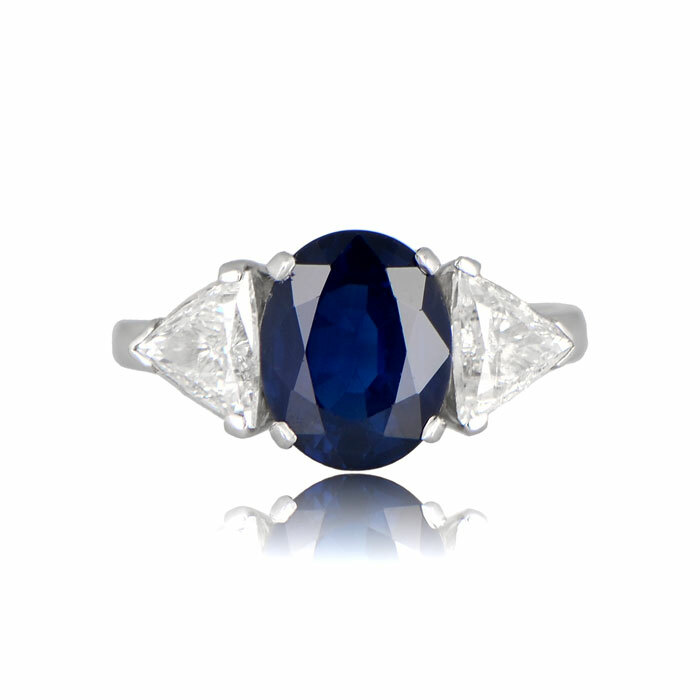 The center sapphire weighs 3.05 carats and the diamonds have a total carat weight of approximately 1 carat. 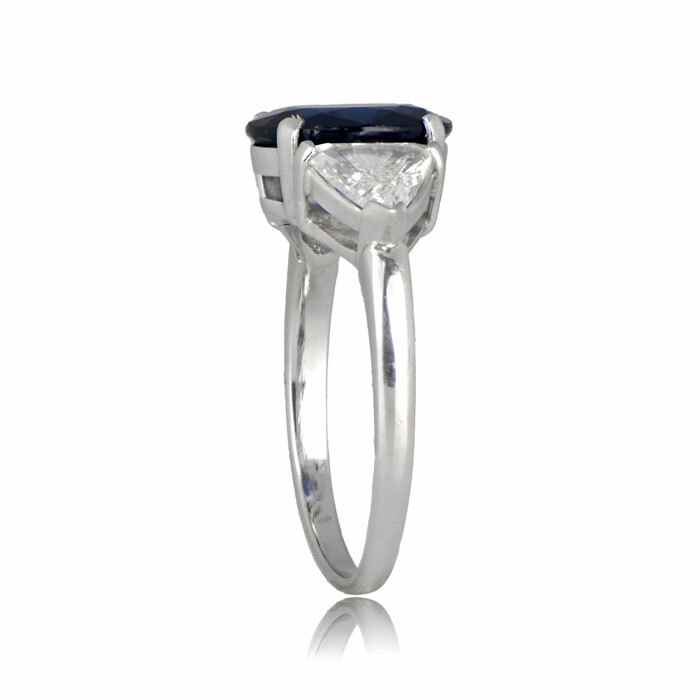 The mounting holds the stones with prongs and is made from platinum. 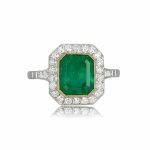 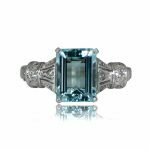 SKU: 12016 Categories: Sapphire Engagement Rings, Vintage Cocktail Rings, Vintage Engagement Rings - Contact us and request additional pictures.